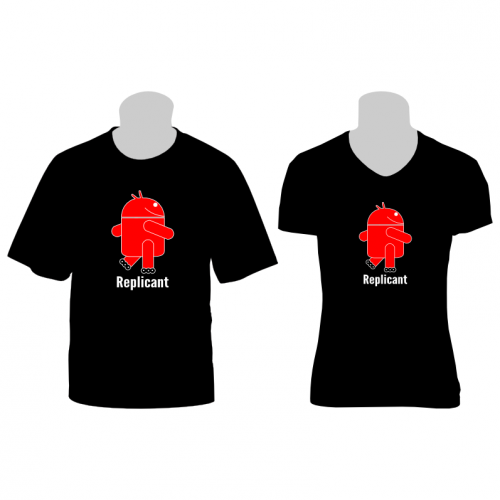 Show everybody you support Replicant, the fully free operating system for mobile devices. Especially if you're running Replicant on your device. 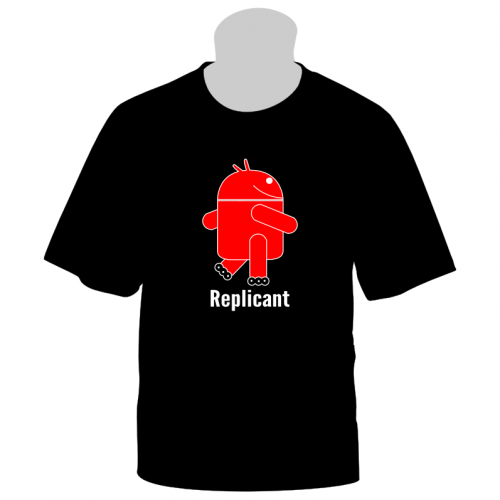 You might also be interested in purchasing devices preinstalled with Replicant offered by Technoethical. 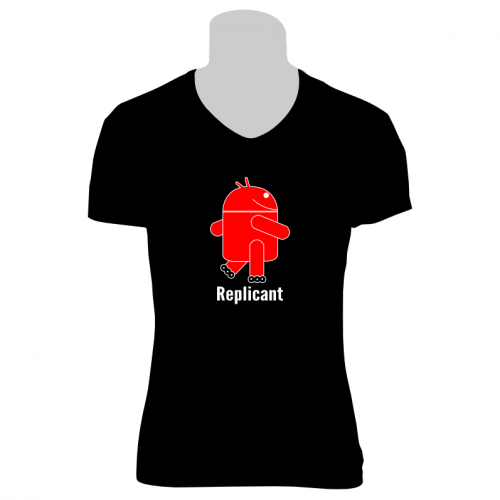 This soft cotton T-shirt features the official Replicant logo and each purchase supports the Replicant project (Technoethical donates Replicant $1.5/piece = 25% of the sale profit). When ordering this T-shirt, please leave a comment specifying your size and preferred color, if you don't like the black one.